Insular. aliquot Aegaei maris antiqua descrip. 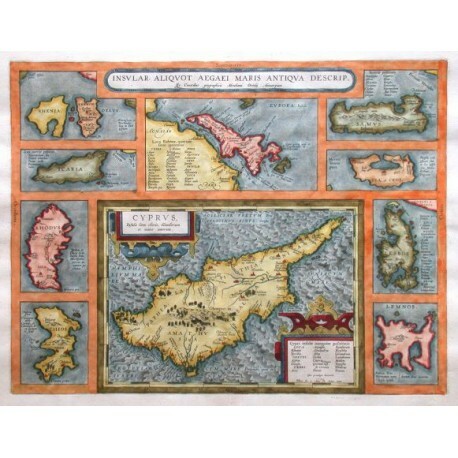 > Antique Maps and Views>Europe>Greece, Mediterranean Sea>Cyprus>Insular. aliquot Aegaei maris antiqua descrip. "Insular. aliquot Aegaei maris antiqua descrip.". Orig. copper-engraving from A. Ortelius, 1584. Coloured. With 3 ornametal cartouches. 36:47 cm (14 1/4 x 18 1/2 inch.). V. d. Broecke Nr. 216; Koeman III, Map 7500:31, Ed. 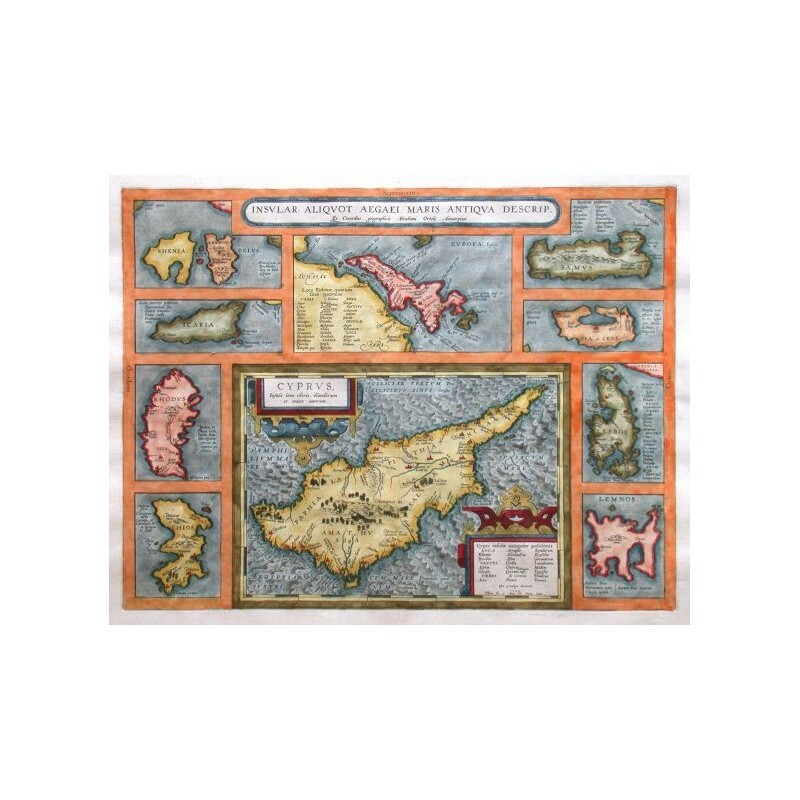 31:051 (1595 Latin) - Map of Cyprus, above with 9 small maps of Rhodos, Chios, Samos, Lesbos etc. along the sides.